Edward Snowden, the man who is better known as the whistleblower who had copied classified information from the archives of National Security Agency, is also known to have proposed one of the most interesting theories as in why humans have not been able to communicate with the aliens in spite of trying for so many years. Here are top 10 secrets of his alien theory. (1) As per Edward Snowden, alien messages are surrounding us every time, however, as these message are heavily encrypted, they are not being understood by humans. (2) All the alien messages that is being sent out to the outer world are encrypted by default is what Edward Snowden’s alien theory tells us. (3) The aliens use heavy encryption techniques on their messages owing to the fact that they want the messages to be secured and undecipherable till the time some society with highly advanced technological skills encounters those messages and decipher them. This is primarily a safety measure from the aliens’ end. 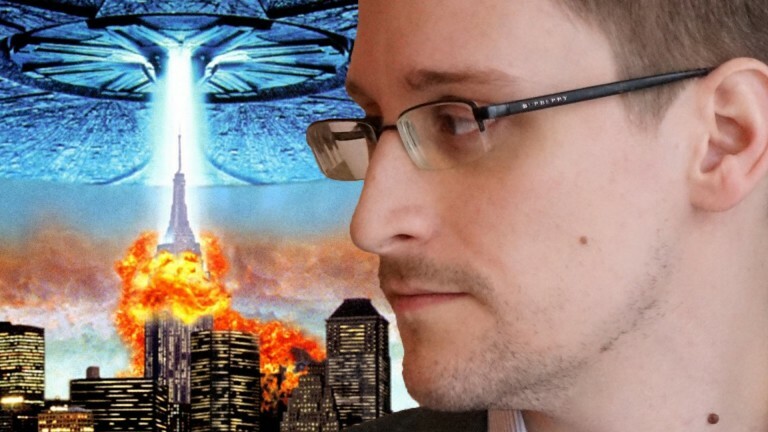 (4) As per the alien theories of Edward Snowden, there is a small period of time when the technology would be open enough so that humans would be actually be able to interpret the alien signals. (5) The short window will come only when the alien societies will send messages by means of most primitive and unprotected ways. Once this short window will pass out, the alien messages will be complete undecipherable. (6) The encrypted messages that are being sent out by the aliens are indistinguishable from microwave background radiation, thanks to the heavy modes of encryption that is being used by the aliens. (7) The cosmic microwave radiation that is being received by earthlings could be pretty much the sounds of an alien TV show or sound from a phone call, which due to the encryption turns out to be regular cosmic radiation to us on earth. (8) Going in line with the theory of Snowden regarding alien communication, scientists at Parkes Observatory in Australia have detected a very strange series of radio bursts which is fast enough to be thought of having alien origins. The bursts have been observed and studied since 2001 and it is being determined that the sounds are coming from far outside our galaxy, but the source seems to be relatively smaller than usual sources in the cosmic world. (9) The bursts that are being received are multiple of a single number which is 187.5, which has forced the astrophysicists to start thinking that whether this is a new type of pulsar or some sort of an alien beacon. (10) The classified documents that were leaked by Snowden from the NSA reveal that there is a strong possibility that the government uses UFO conspiracy theories to distract the attention of the common people from real secrets of defense. Going by the theories of Edward Snowden, it certainly becomes obvious that alien messages are prevalent in the universe, however humans would need to develop even more to decrypt those readily available messages to understand what is it that our alien friends actually want to tell us about.